Non-woven materials are nowadays mainly produced from man-made fibers. Two synthetic polymers dominate the market: PolyPropylene (PP) and PolyEsTers (mainly PET). Non-woven textiles are those which are neither woven nor knit, for example felt. Non-wovens are typically not strong (unless reinforced by a backing), and do not stretch. They are cheap to manufacture. Non-woven fabric is manufactured by putting small fibers together in the form of a sheet and then binding them either with an adhesive or by interlocking them with serrated needles such that the inter-fiber friction results in a strong fabric. Pimpex Plastic, China supplies Non-woven Fabrics Deep Processing Machinery including 3d mask making machine, automatic wiper forming machine, automatic slicing machine, bouffant head cap making machine, cd sleeve making machine, mask blank body making machine, mask ear loop sealing machine, mask tie tape sealing machine, mask tie tape sealing & packing machine, mop fabrics glove wiper making machine, operating coat machine, surgical gown making machine, shoe cover making machine, ultrasonic quilting bonding machine, etc. The manufacturer specializes in designing and manufacturing non-woven deep processing machinery with advanced technology. 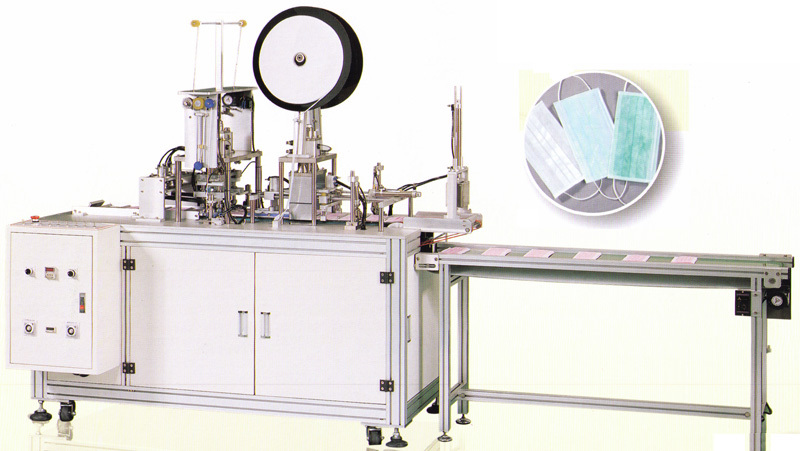 Most of its non-woven deep processing machinery are especially applied for the making of disposable medical and hygiene products, such as surgical cap, bouffant head cap, medical face mask, surgical gown, shoe cover, and etc. With strong structure and nice outlook, high performance and easy operation, the machinery adapts ultrasonic welding system to replace the conventional sewing to save labor and time. Full automation from raw material feeding to finished products counted and collected. 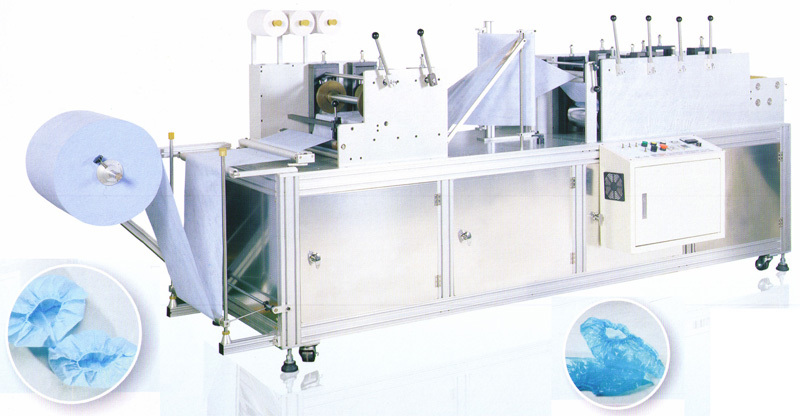 The non-woven deep processing machinery is under P.L.C control and guarantees its outstanding features as safety, high capacity and low defectiveness. It's a perfect choice for dust free clean room production. For meeting the demand of the rapid progress of non-woven industry, we have a powerful R&D team with high efficiency and preciseness, which is capable to design and make the very right machinery by being provided with sample pieces or even the drawing of the non-woven products. Constructive ideas and opinions with professionalism are also ensured for creating more values for customers. All its non-woven deep processing machinery will be ensured with on-site operation and maintenance instruction and one-year warranty. And a close malfunction debugging service is promised. Meanwhile, the manufacturer pays keen attention on customer feedback collecting and analyzing, quickly reacts with effective solution. A special design to produce 3-D masks with filter media with full automation. Its highest capacity achieves 80 pcs/ min.It is so easy to change different welding rollers or cutting rollers to make different kinds of 3-D masks. With elastic non-woven-material-made comfortable ear-loop, these filter masks are suitable for high pollution industry for its high PFE features. 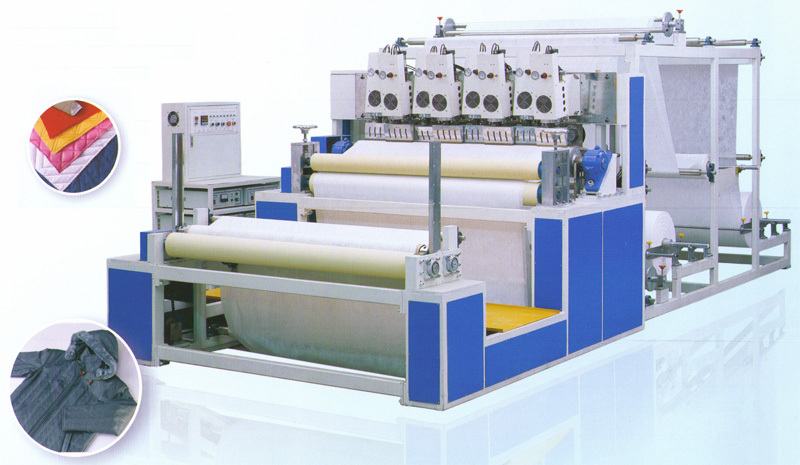 This machine is specially designed to cut non-woven rolls into sized pieces by ultrasonic system. 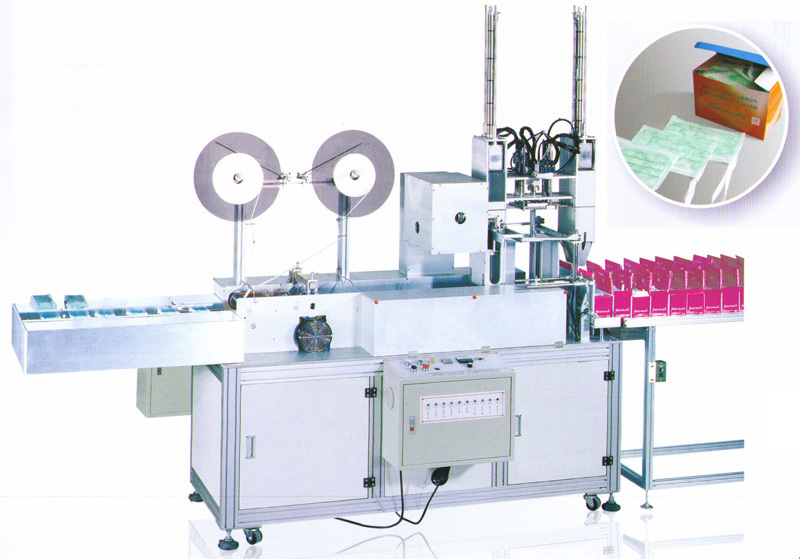 Bouffant Cap Making Machine is specially designed to produce disposable non-woven bouffant caps automatically from raw material feeding to finished caps counting. One operator can run 2 machines at the same time. Cap size is adjustable in 18, 21 and 24 inches without changing any parts. 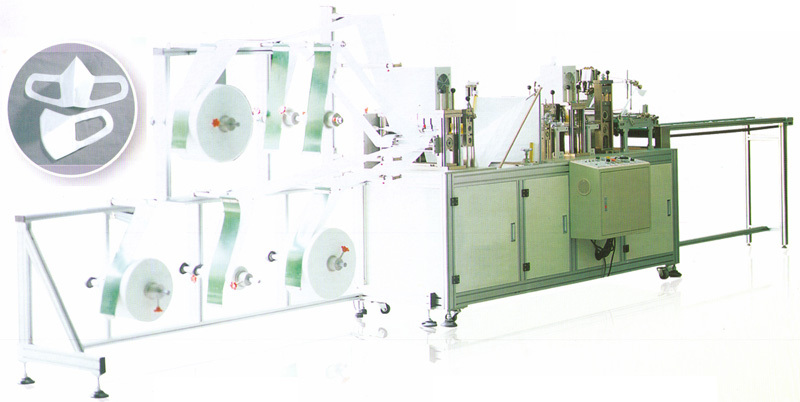 This machine is specially designed to produce CD sleeves automatically from raw material feeding to finished CD sleeves' counting and stacking. Highest capacity achieves 120 pieces per minute. 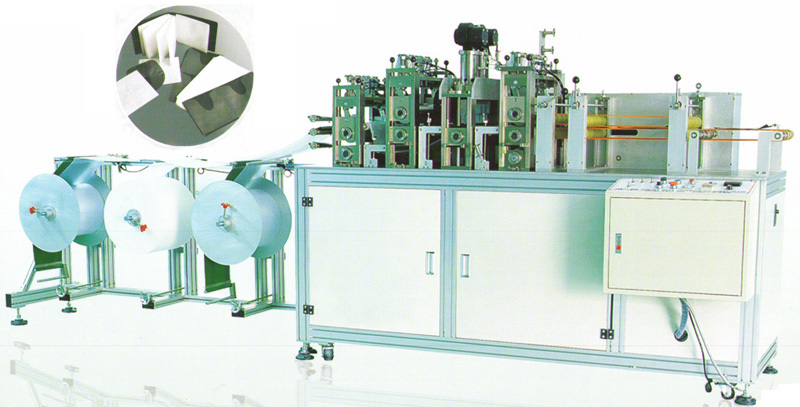 It can produce CD sleeves in different size and shape by changing different rotary cutting die and welding die. 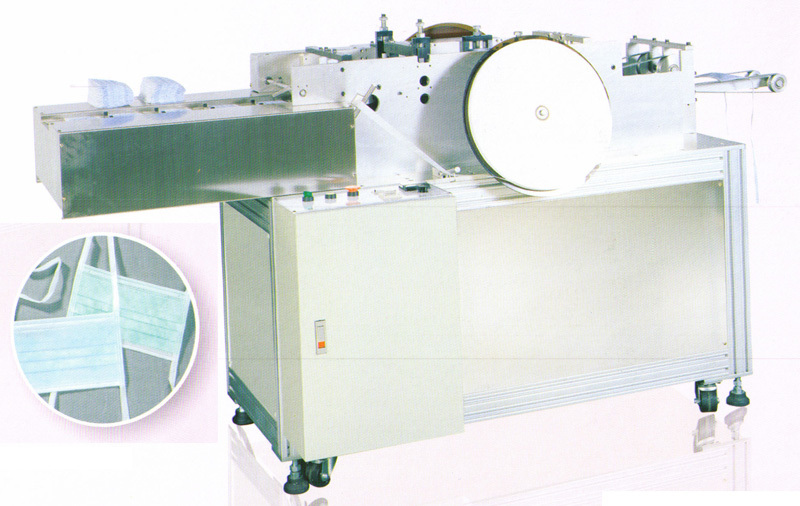 This machine produces non-woven face mask blank body automatically from raw material feeding to inserting, sealing and cutting nose wire, and then to pleating, sealing and cutting non-woven fabric to finished mask blank which will be counted and collected on conveyor, the highest capacity achieves 120 pcs / min, and the the size of mask blank is 180mm(L) X 90mm(W). This machine is used to continue to weld ear-loop elastic at the both sides of the mask blank body for completing a mask. 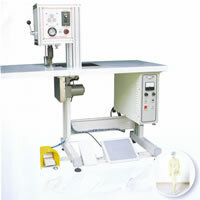 This machine is used to continue to weld non-woven band at the both sides of the mask blank body for completing a mask by ultrasonic systems. 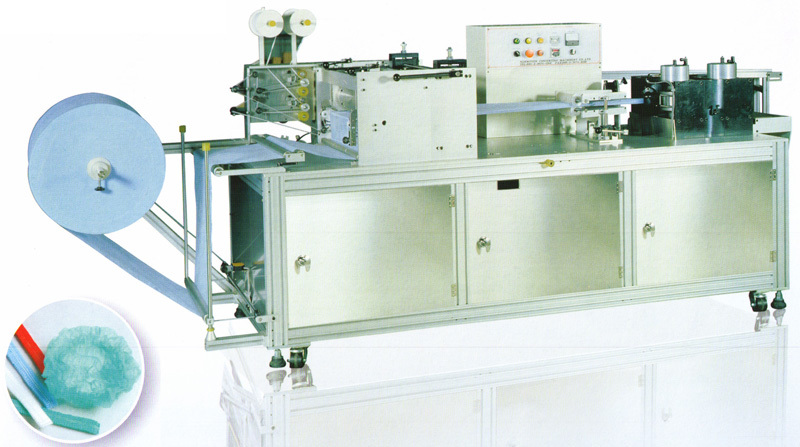 This machine is used to continue to weld non-woven band at the both sides of the mask blank body and then packing up the finished tie-on masks automatically. A special design to produce non-woven mops or wipers with full automation, saving time and stable quality. The static-electric coating for glove wiper is available. 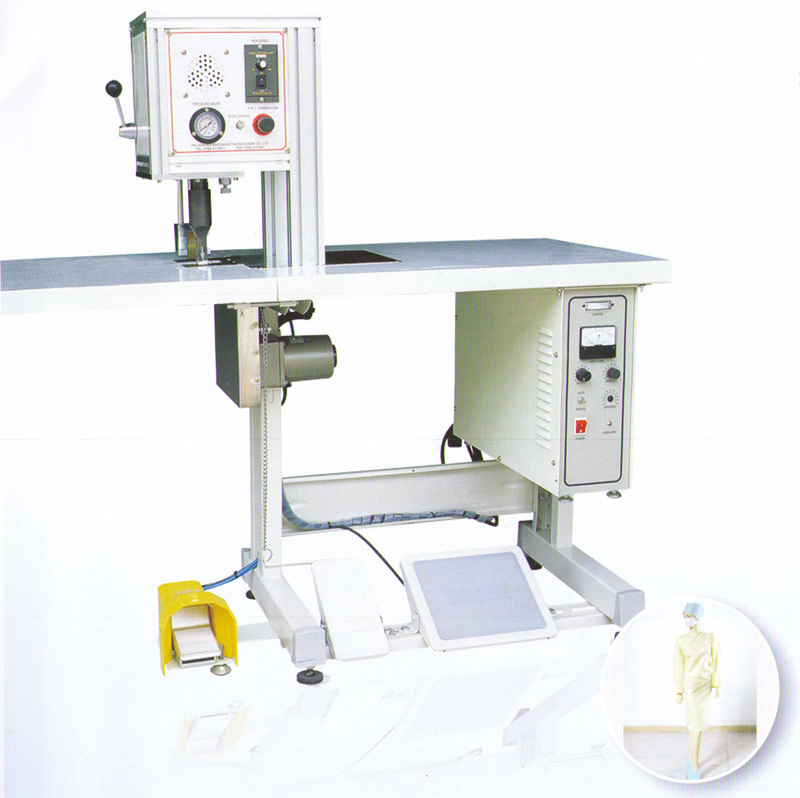 The Surgical Gown Machine is widely applied in Medical (surgical gown, cap, respirator, pillow case), Industry (duster coat, anti-static electricity clothes, filter net and head wrap), Automobile (seat cover, headrest) and others (suit cover, shower cap). It Eliminates the procedures of conventional sewing associated with needles, threads and bobbins. With ergonomic design, no health risk and easy operation, it is available for straight and curve sealing. The welding width can be controlled by the guider to increase capacity. It possesses waterproof, air tight, and anti-bacteria function for the specific demand of welded products. Its matched design of roller patterns enhances the strength and beauty of welded products, and the special I-type seal arm design is available for fold round sealing. This machine is for non-woven, P.E. Plastic Film or CPE shoe covers production. With fully automatic control from feeding raw material to finished shoe covers counting and collection. A special design to produce 2~5 layers bonding from feeding raw material, ultrasonic welding, slitting to rewinding filter bag with automatic mechanism.